We offer Web Design and Development in Lahore Pakistan. We are in this profession since 2006. and have completed 1000+ website for our worldwide customers. Our first priority is to deliver the quality work with 100% client satisfaction, So the end user get friendly website until the scope of work is not changed. We are having team of expert web designer and web developer in Lahore Pakistan. Who are committed to design an eye catching and corporate level web solution. 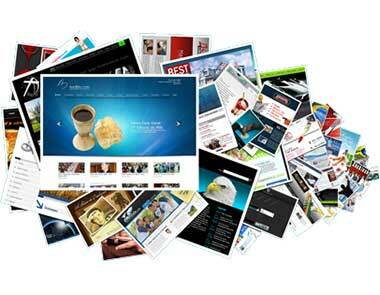 Creativity in Web Design and Development for our valued customers as per demand. We build online presence. We acknowledged to our client that what is in trending. We also design and develop web based applications, desktop applications and mobile application for Android, i Phone, Tablets (iOS). Upload on Google play store and Apple play station in very affordable price. Our in house team are ready to work for web / app designing and development in Pakistan. We work on phases that compete all sort of features with on time delivery. If anyone is willing to custom web design for static, dynamic or eCommerce website development, then you are on right place. Make this possible by efficiently coders. Our Php developer in Lahore Pakistan having strong grip to deliver unique codes of web design and development. Our major clients are based in UK, USA, UAE, Australia, Italy on long term contractual basis. Who want to outsource work in Pakistan in affordable price. We also deals in maintenance website. redesigning website. data entry. Analysis web speed. theme customization. Removal of bugs and errors. Security check. Threat detection. WordPress Theme Installation. Migration. online payment processing integration such as PayPal. Credit card. Skrill. Payza. Western union etc. on mutually contract bases. Complete IT solution for web design and development on demand. We deal in all kind of web / app based IT Solution. This is why, We are well known top web design and development services provider in Lahore Pakistan. If you have any query please do not hesitate and feel free to contact us.